Behind the imposing doors of Holborn Bars is an inspirational interior – the home of Prudential Insurance. In 2010, the company invested in a complete redecoration programme to bring the exterior up to date. From stonework and timber to windows and guttering, every aspect was to be refreshed. To supply the scaffold, the company turned again to TRAD. We have a history with the building, having established a working relationship with Prudential more than 15 years ago. 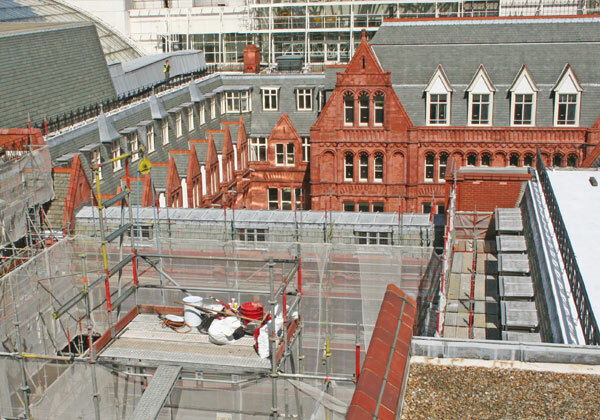 In 2010, we provided the scaffold for work on the internal courtyard. For this (second) phase of exterior work, two more internal courtyards and the complete external elevation were being redecorated. 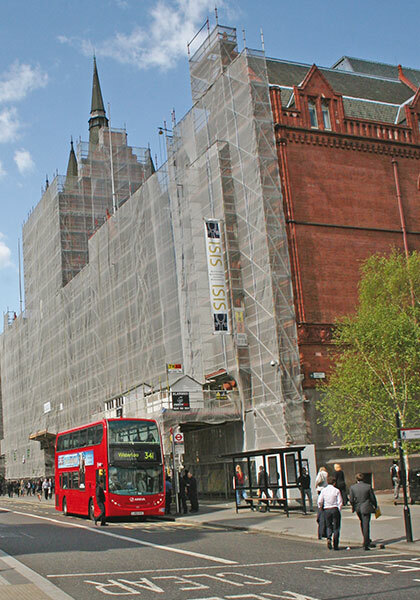 We used Layher scaffolding to cover the building’s profile. Bridging the spire was just one challenge. We also – for the first time ever – installed a full security system, complete with high-resolution cameras and alarms, to provide protection during the works. 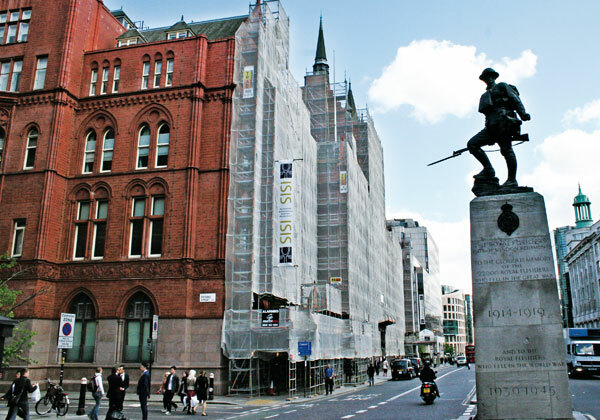 The scaffold was built to allow access for a great deal of work, including cleaning, stone and brickwork repairs, joinery, gutter, and roof repairs, bird wire repairs, lightning conductor testing, and the complete redecoration of windows, leaded lights, metalwork, gates and railings. 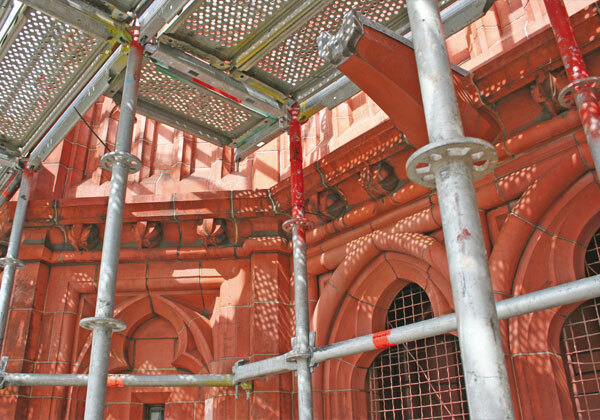 A vast programme of work for which TRAD scaffolding provided the foundations.